I am one of those restrospective people who loves to reflect and analyze the events of the past 12 months at the end of each calendar year. So this weekend, while snowed in at my parents’ home in western Massachusetts, I set out to answer this: What were the top 10 moments for Jewish women in 2010? Sally Priesand, Sandy Eisenberg Sasso, Amy Eilberg, and Sara Hurwitz, the first-ordained North American Reform, Reconstructionist, and Conservative women rabbis and Open Orthodox rabba, respectively, gathered together for the first time to light the Hanukkah candles, to share their inspirational stories, to celebrate the progress that has been made across the Jewish movements, and to discuss what still needs to be done. Keshet led the Jewish community in response to a wave of bullying that drove a number of youths to suicide this year. 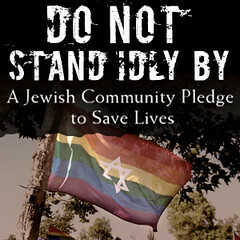 The pledge is a commitment to ending homophobic bullying or harassment of any kind in our synagogues, schools, organizations, and communities, and a promise to speak out when anyone is demeaned for their actual or perceived sexual orientation or gender identity. There are currently over 10,000 signatures on Keshet’s online pledge. 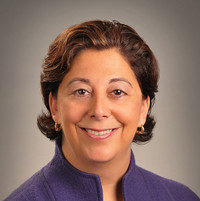 After nearly eight months in an interim leadership role, Jennifer Gorovitz was named Chief Executive Officer of the San Francisco-based Jewish Community Federation, which ranks among the 20 largest Jewish federations in North America. While women lead 75% of American federations, Gorovitz was the first woman to head a major one. 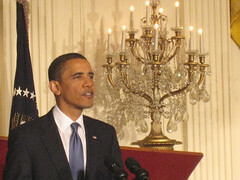 Jewish women were definitely front and center at the first ever White House reception marking Jewish American Heritage month. Appropriately so, since it was a woman – Representative Deborah Wasserman Schultz – who spearheaded the Congressional campaign to establish Jewish American Heritage month. It was another woman – Marcia Zerivitz, who put the bug in Wasserman Schultz’ ear; and yet another woman, Abby Schwartz, who, as National Coordinator of the Jewish American Heritage Month Coalition, has worked tirelessly to turn a proclamation into a broad based local, regional and national celebration. 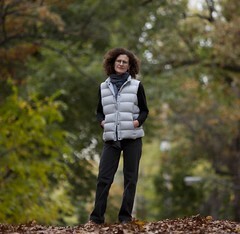 Despite competition from better known writers including Peter Carey and Nicole Krauss, the 2010 National Book Award for Fiction went to Jaimy Gordon. The Baltimore-born author’s fourth novel, Lord of Misrule, introduces the reader to the fierce world of low stakes horseracing and the vibrant, gritty band of characters, including a down-and-out horseman and his gutsy but troubled girlfriend, who frequent the racetrack.